It is with great sadness that the family of Mary M. Sobocinski (Shally), wife of the late Stanley J. Sobocinski, announces her passing. Mary passed away peacefully in the presence of all seven of her children: Mary Jo (Ron Johnson), Joseph (Helen Olasz), Kate (Barry Hoffman), Karen (Joseph Ducar), Margaret (Barry Martin), Anne (David Olson) and Patty (Rick Cooley). Daughter of William and Eleanor Shally, Mary is also survived by her two sisters, Jean Stutz and Anna Jane Shally, and many nieces and nephews. Mary was the proud grandmother of Eleanor and Maura Johnson, Stephen (Jessica), Matthew (Dana), and Thomas Sobocinski, Joseph Ducar (Jamie), Kelly (Jesse Smith), Pamela (Andrew Wantland), and Kevin Ducar, Dalton and Carter Martin, Eli and Sara Olson, Sean and Patrick Cooley. Mary was also the loving great-grandmother of seven: Khloie, Lily, Jesse and Emily Anne Smith, Julia and Sophia Sobocinski and Maclean Wantland. Born and raised in Pittsburgh, Mary was a retired secretary with the Steel Valley School District. Mary, a woman of great generosity, kindness and faith, was also an active member of St. Maximilian Kolbe Church and Seniors Group. Mary will be lovingly remembered by her family, friends, book club and community. Family and friends will be received on Wednesday 1-3 PM and Thursday 2-4 & 7-9 PM at the WILLIAM R WELSH FUNERAL HOME, 309 E 10th Ave, Homestead, PA 15120. A Mass of Catholic Burial will be celebrated in memory of Mary on Friday, September 29th, 11:00 AM at Saint Maximilian Kolbe Church, with Father Dan presiding. 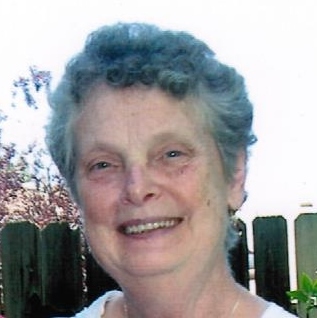 Memorial donations in memory of Mary may be made to The Carnegie Library of Homestead, 510 East 10th Avenue, Munhall, Pa 15120 and The Sisters of Charity of Seton Hill, Caritas Christi, 144 DePaul Center Road, Greensburg, PA 15601.